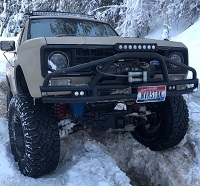 Here is one in a Ranger! That would be really sweet, but at $400, it is SO not in my future. You would think after spending 400 on a dash kit he would have come up with a better solution for his prindle. "Oh lets just chop a hole to the left and put it in"
I don't particularly have a problem with the location, but his execution of the mod is really lacking. The digital part is great though! Agreed, it's all i could stare at, it must have to be the laziest dremmeling i've ever seen. You know, Intellitronix could easily come up with a digital readout for the PRND21 with a 6-position switch controlled by the OEM cable. Then it would ALL be digital! They don't have one but Dakota Digital makes a couple. I don't like either one might have to search a little more. If none exist I'll send a request to Buggman labs. About a $180 investment no wonder the poor guy took a dremel to his plastic LOL. They look good but I already have the gauges, speed-o 4.5", two 2 5/8" gauges, oil and water temp, And four 2 1/16" gauges, just need to make the mounting plate... then figure out the wiring ! The Speed-O and the two 2 5/8" gauges will be in the Gauge Cluster, the other 2 1/16" gauges will be on the A pillar and if on the top of the dash. If the individual gauges & sending units (or whatever they'd need to get info from the vehicle) were available, it might not be too hard to create a custom dash for them. Someone might even be smart enough (not me) to use some arduino type mini computer to feed the signal to some small digital displays. Just thinking out loud, but if you use sending units from engine to gauge then there isn't any problems..., just wiring. BUT... if you want them to go through the computer... now that would be a PITA ! I've been told, do not know for sure, but the Dash doesn't give the computer any info that cant be eliminated. (any input here would be useful)! These gauges were intended for a Jeep Dash Project that didn't happen, but I have started drawing up a Ranger dash with separate gauges, only time will tell what happens. 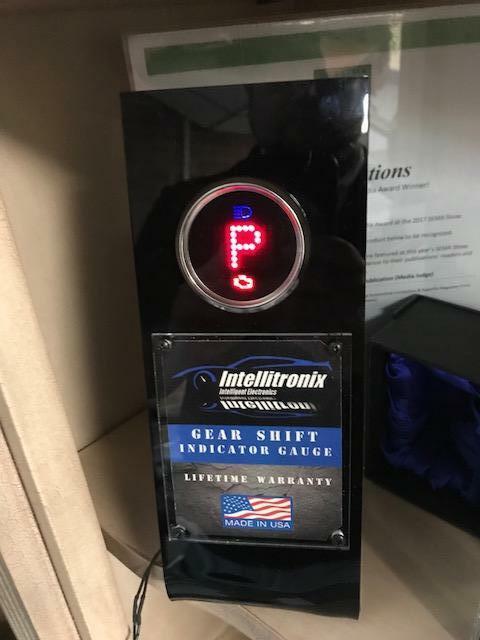 This seemed to be the best place to put this, been chatting with sales and tech support on and off since the thread started... they have developed a PRNDL gauge and it debuted at CES this year, it is not available yet. I'm going to leave them in all winter and if they still work well come summer time I will call them a success and see if F-R can be a dealer for their products. Unless James beats me to it LOL. It's the shape. I have a few old samsung 10" tabs around and the app looks great on those, GPS speedo, reads bluetooth.. doesn't fit in stock location on a ranger too big. Smaller ones leave gaps left and right. Page processed in 0.2467 seconds (19% database + 81% PHP). 104 queries executed.